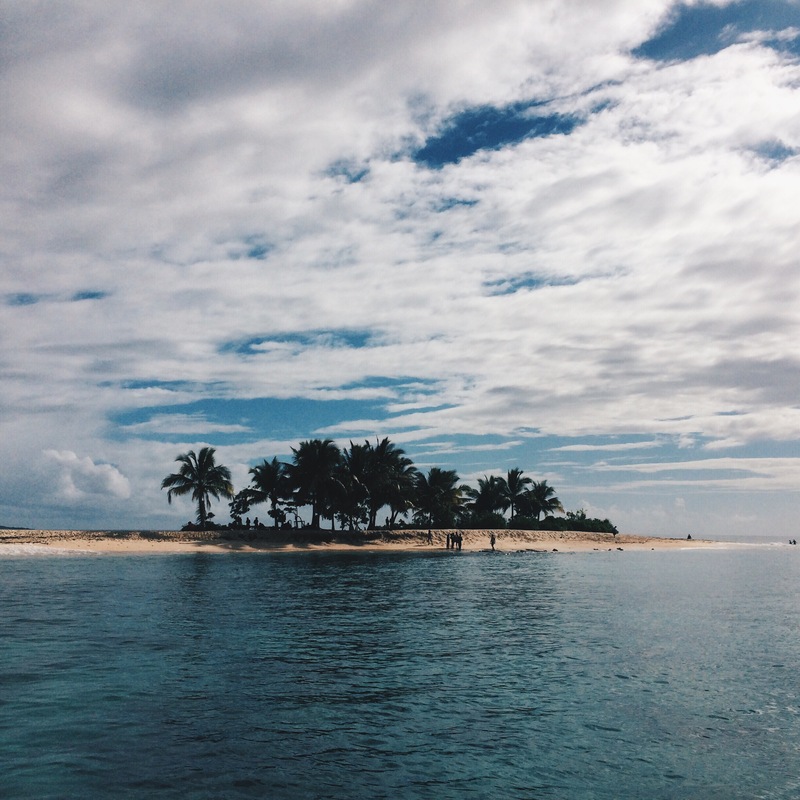 Looking for beaches near Manila? Batangas beaches, perhaps? Or a secluded beach anywhere in the Philippines? Here’s a round-up of beaches around the country to help you plan your next getaway! If there’s something missing on the list, please do comment them below. Tiambian Beach is one of the best and most popular beaches in Romblon. Its crystal clear waters is perfect for swimming – great for kids and families. The best thing about this beach is it’s secluded and quiet. 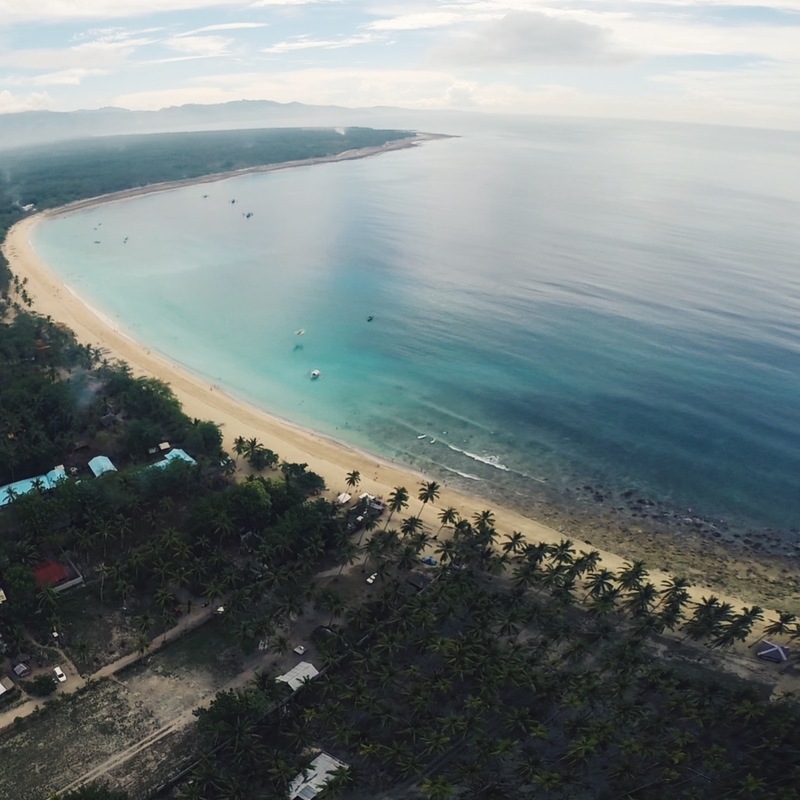 A trip to this spot in Romblon Island is definitely worth it if you’re looking for a place to getaway from the hustle and bustle of the city. El Nido is definitely one of the must-visit places in Palawan. Before, the only way to visit the island is through a chartered flight. Now, the town is more accessible; opening it to more types of travelers – including those on a budget. Known for its beautiful limestone islands, amazing pocket beaches and multiple snorkeling and diving sites, it reminds you that you’re really in the most beautiful island in the world..
Palawan is well known for Coron, El Nido and Puerto Princesa’s beautiful island hopping destinations and white sand beaches. An emerging destination not known to many is Long Beach in San Vicente, Palawan. 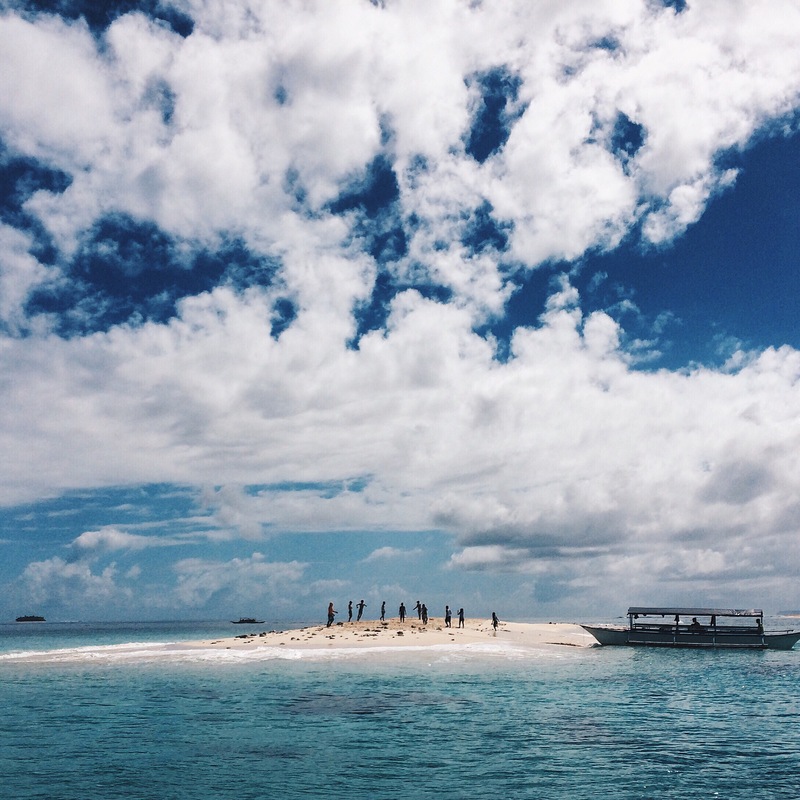 According to local tourism officials, it is the longest white sand beach in the Philippines. The whole stretch is 14.7 km long lined with endless palm trees with only three beach front inns and nothing else. It is the untouched destination, different from the touristy beaches of Palawan. 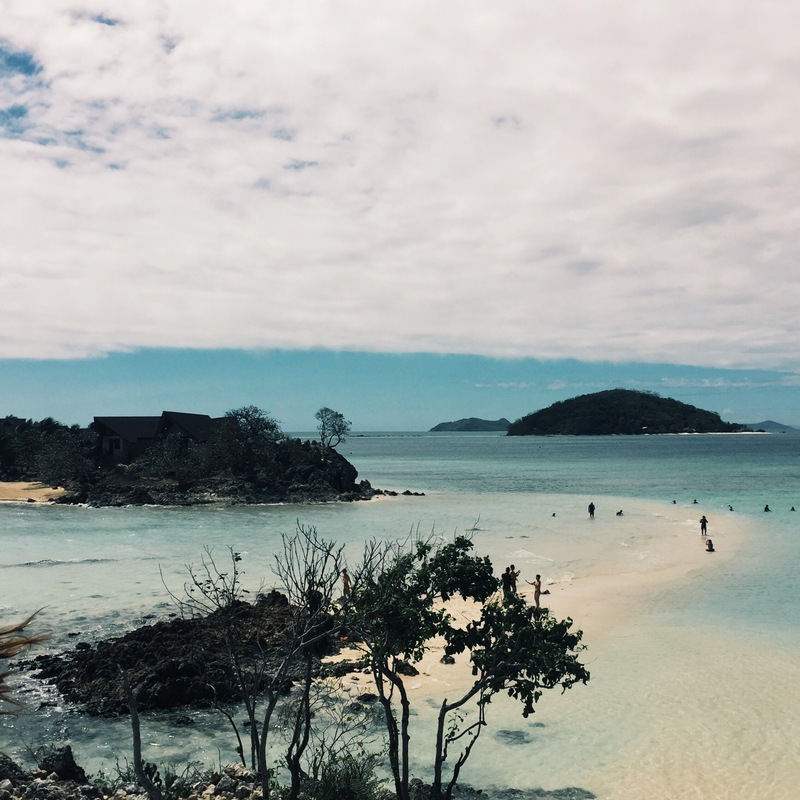 Bicol Region boasts some of the country’s most popular tucked away beach destinations such as Calaguas Island in Vinzons, Camarines Norte and Caramoan Islands in Camarines Sur. But for different reasons, both islands are not always viable. 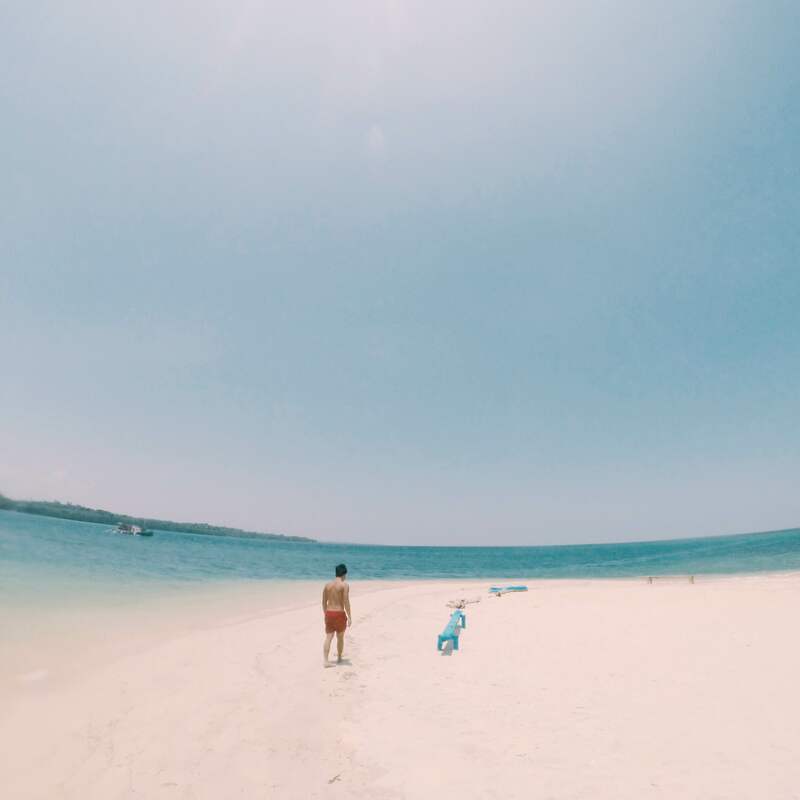 We discovered Rizal Beach in Gubat, Sorsogon; a long stretch of fine white sand facing the Pacific Ocean, idyllic for any type of weather and for all types of travelers. 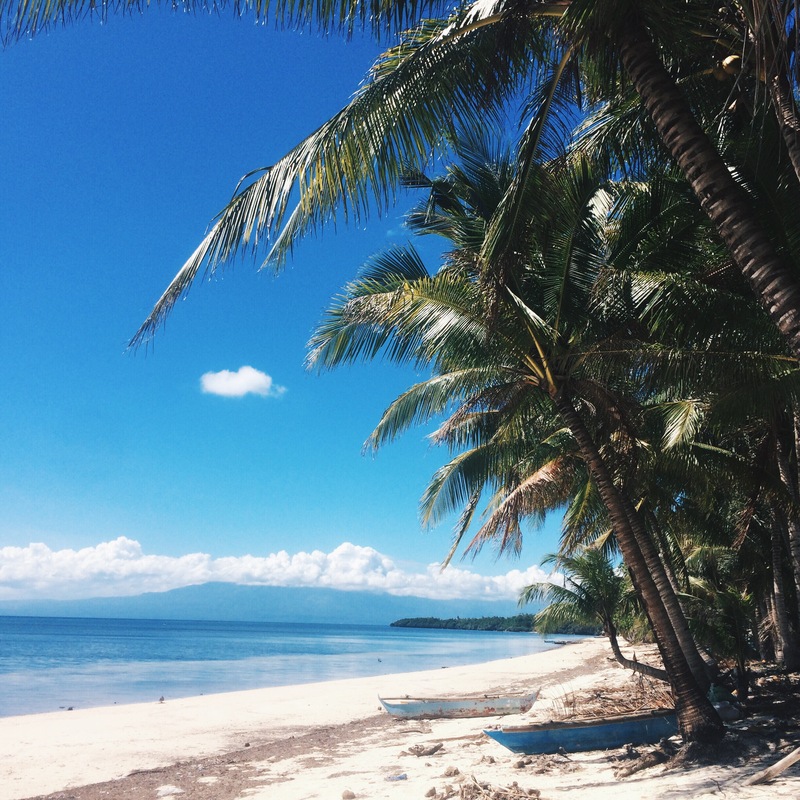 Recently, Quezon Province is becoming a popular backpacking destination because of its secluded white sand beaches perfect for weekend getaways. Leading the list of white sand beaches is Cagbalete Island, an underrated island with a mile long sandbar, just three hours from Manila. Islas de Gigantes or the Islands of Giants is an island group located in the north eastern part of Panay Island in the Visayas. Located specifically in Carles, Iloilo, it is composed of 10 islands; Gigantes Norte and Gigantes Sur being the two largest and most visited of the island group. Tourism here just started booming in 2012. 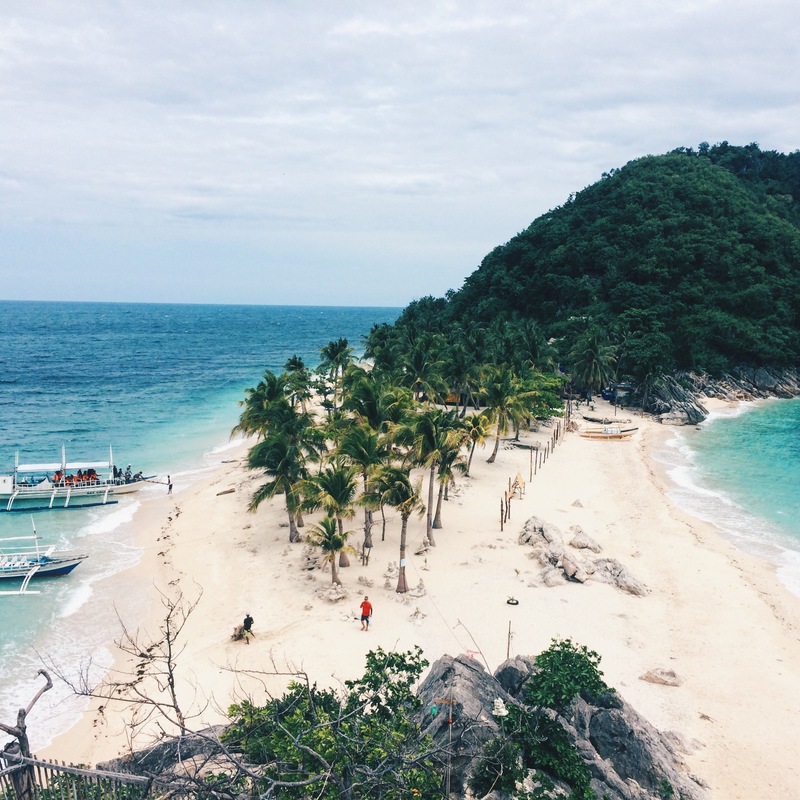 Islas de Gigantes features hidden saltwater lagoons, white sand twin beaches and sandbars perfect for a summer escape. The most popular destination in the province of Aurora has long been the surfing town of Baler. Being a coastal province, we got curious what’s beyond the famous Baler and what other beaches the province has to offer. We discovered a white sand paradise an hour away north of Baler: Dipaculao Beach. A complete opposite of Baler’s Sabang – white, empty and quiet. Malcapuya Island was one of the highlights of our recent Coron trip. We have been to a lot of beaches and nothing compares to the famous Boracay white sand, until we explored this island. It is usually part of a tour package because of its distance from the town of Coron. Hurry, though! Last time we were there we heard from the locals that a hotel group will buy the island. Bulog Dos is also located 2 hours away from Coron Town; near neighboring Malcapuya and Banana Island. It is connected to the private luxury hotel Two Seasons by a sandbar. The sand here is also fine and white perfect for an afternoon swim. On the other side, you’ll be able to see Coron Island’s massive size. The small and unspoiled island province of Camiguin in Northern Mindanao boasts white beaches, diving spots, mountain trekking, volcano tours and a few waterfalls. Camiguin is a paradise for both tourists looking for tranquility or thrill-seekers hungry for adventure. Perhaps one of the most photographed destinations in the region, this island off the northern tip of the province is the must-visit place when in Camiguin. Found in the middle of Lianga Bay in Surigao del Sur, Hagonoy Island is probably the most popular island in Britania. There are a handful of coconut and Talisay trees used a shade, making it the preferred island to stopover for lunch. And like most islands in Britania, you can enjoy fine white sand and crystal clear waters, perfect for wading under the sun. Naked Island, in essence, is a white sand bar with a few rocks. Swimming here is ideal with its clear and shallow waters. The island is so small that tourists only stop here to take photos and leave afterwards. In our case though, we stayed here the longest and most of the time we were the only ones there. If you don’t mind the sun and the heat, wait out for high tide when waves come from both sides of island, covering the sandbar at every surge. Hiyor Hiyoran Island looks like an ideal vision of a tropical island in your dreams: a group of coconut trees on one end, and a white sand beach with clear waters on another. We didn’t swim because the surrounding waters are full of seaweed and corals – making it more suitable for snorkeling. 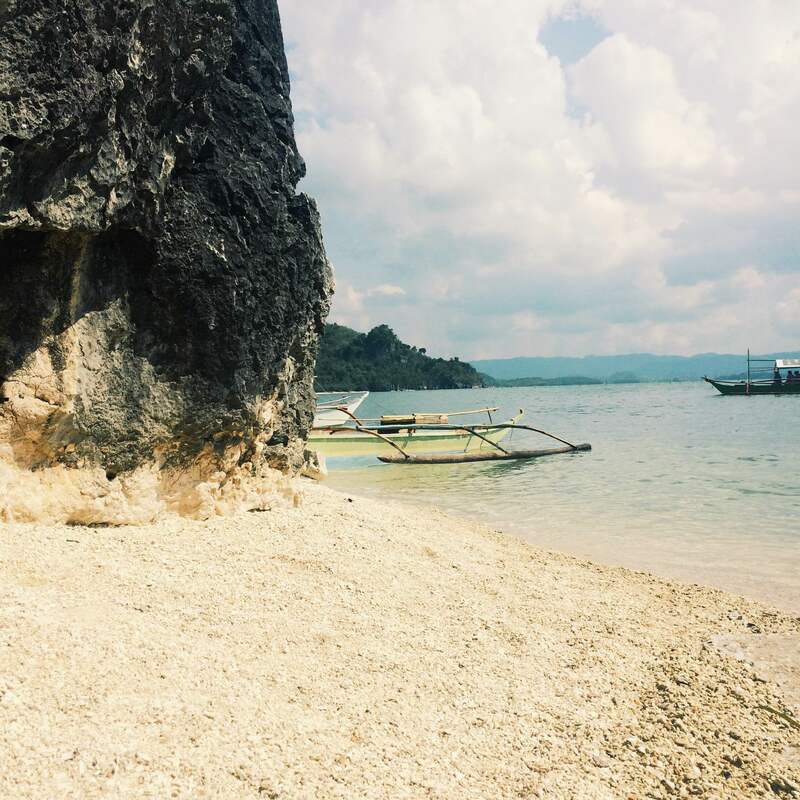 Talisayin Cove is a beach destination only 3-4 hours away from Manila; a perfect substitute to the crowded beaches of Batangas. Compared to more famous Zambales destinations like Anawangin Cove and Crystal Beach, Talisayin is more quiet and less commercialized. According to a local of Talisayin, the cove has long been private, until recently where it was opened to the public. If you’re thinking of going to Anawangin Cove or Crystal beach on a weekend especially weekdays, try Talisayin; you’ll probably end up having the beach all to yourselves. 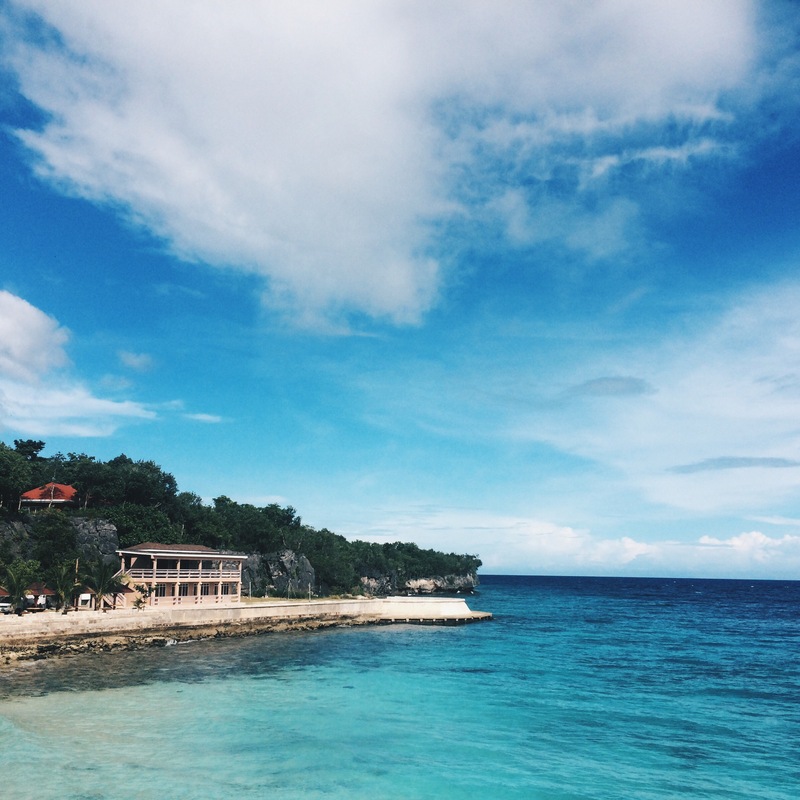 Salagdoong Beach is a must-visit destination in Siquijor. It is located on the south-eastern part of the island approximately 30 km. away from Siquijor Port. This beach resort houses the famous picturesque cliff diving spot. The beach is located at the town of Maria. Don’t forget to take a picture of the scenic drive through the Salagdoong man-made forest. 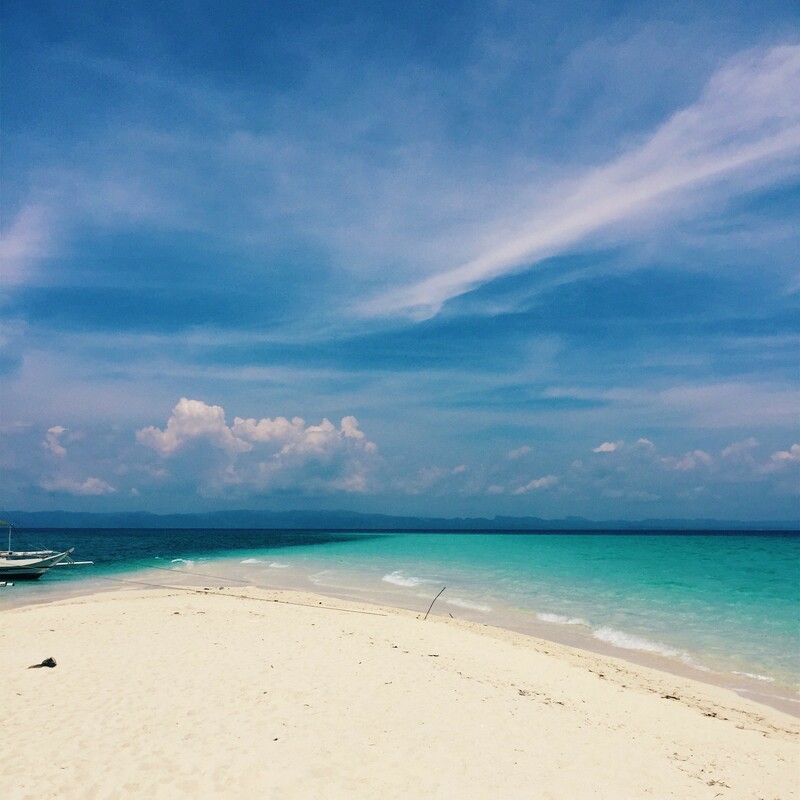 Solangon Beach is one of many beaches in Siquijor. The stretch is located between Paliton Beach and Capilay Spring Park. The shore is less rocky and we reckon it’s more swimable during high-tide. The beach is not hard to find as it is just the along Siquijor Circumferential Road. Paliton Beach is less frequented by travelers. If you want a quiet, lazy afternoon at the beach when in Siquijor, we recommend staying here. You can also see Apo Island and Dumaguete from here. This beach is most swim-able during the high-tide when the waters reach the fine sand. There are no resorts on this part of Siquijor, just private houses. The sand is fine and white but the sea is quite rocky. 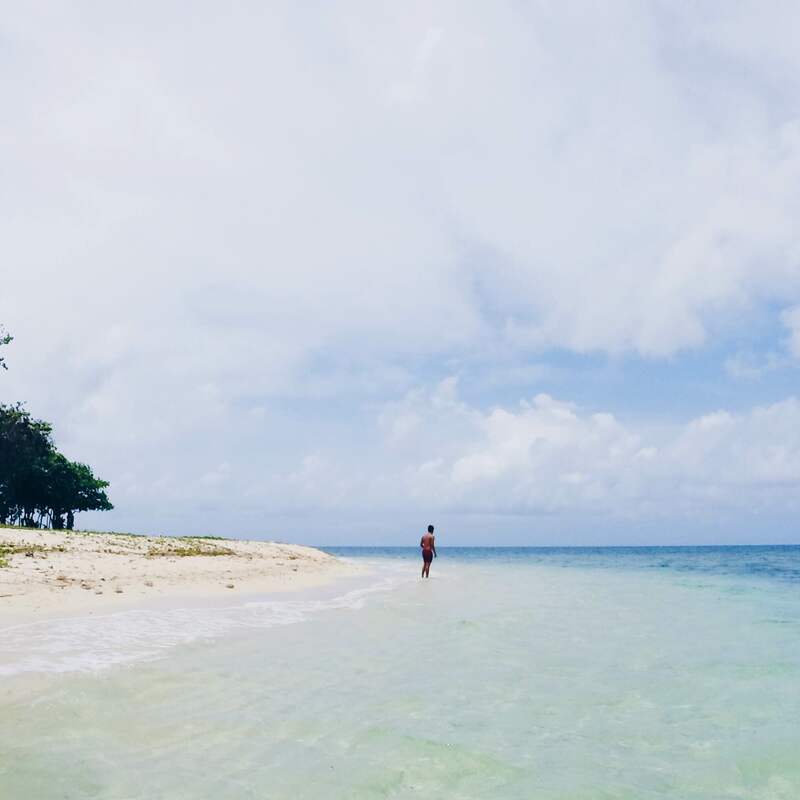 If you’re looking for an off-beat beach destination in the Visayan island group, Kalanggaman Island should be on your list. It boasts a long white shoreline, clear and blue waters perfect for swimming, and picture-perfect (perhaps the most popular) sandbars extending on both ends. Developing Davao City is getting a lot of praise for ranking the 9th safest city in the world, but adventure awaits just a couple of hours outside the city for tourists who want to get lost. If you think you’ve seen the best beaches in country in Coron or Boracay, you should go to Dahican Beach in Mati City, Davao Oriental. The best part: you can fly over the beach for only P1,600. Although already on the town of Pagbilao, Quezon, you can only go to this white sand beach via boat from Pagbilao or Padre Burgos. 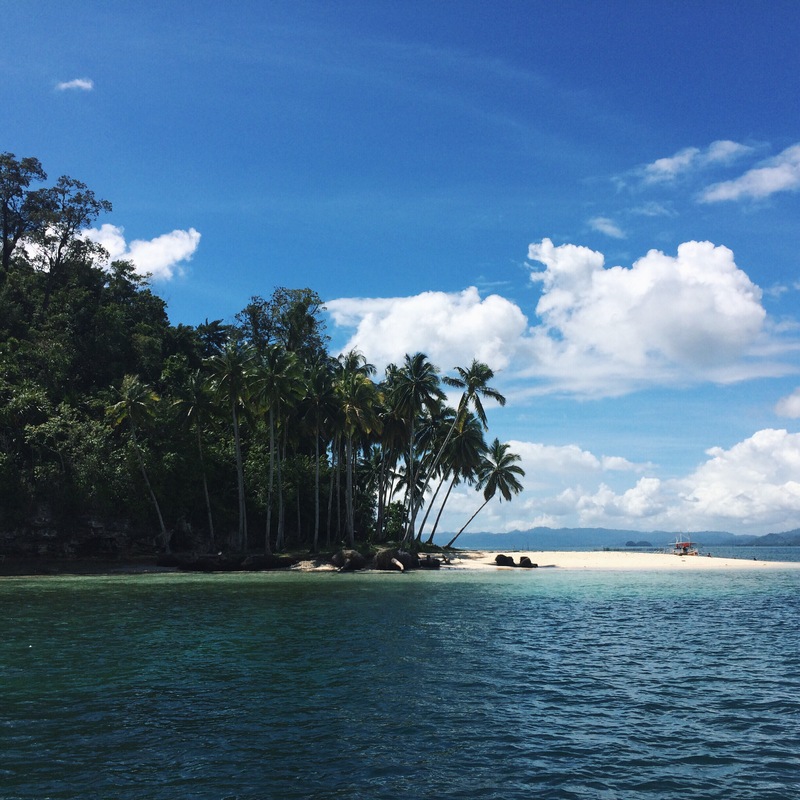 Swimming here is most ideal because of its white sand and clear blue waters. What’s unique is its proximity to Pagbilao Powerplant, featuring the towering smokestack behind the beach. Kwebang Lampas is also located on this cove and can be reached by a short walk among the rocks at the right end of the beach. Borawan Beach in Pagbilao Chica Island is the nearest among the three beaches from the town of Padre Burgos. You can reach the island by boat in less than 10 minutes. It is home to fascinating rock formations reminiscent to that of Palawan’s. Its sand, though white, is not as fine as Boracay’s. The beach is suitable for swimming. You may swim at the netted areas to protect yourself from jellyfish. 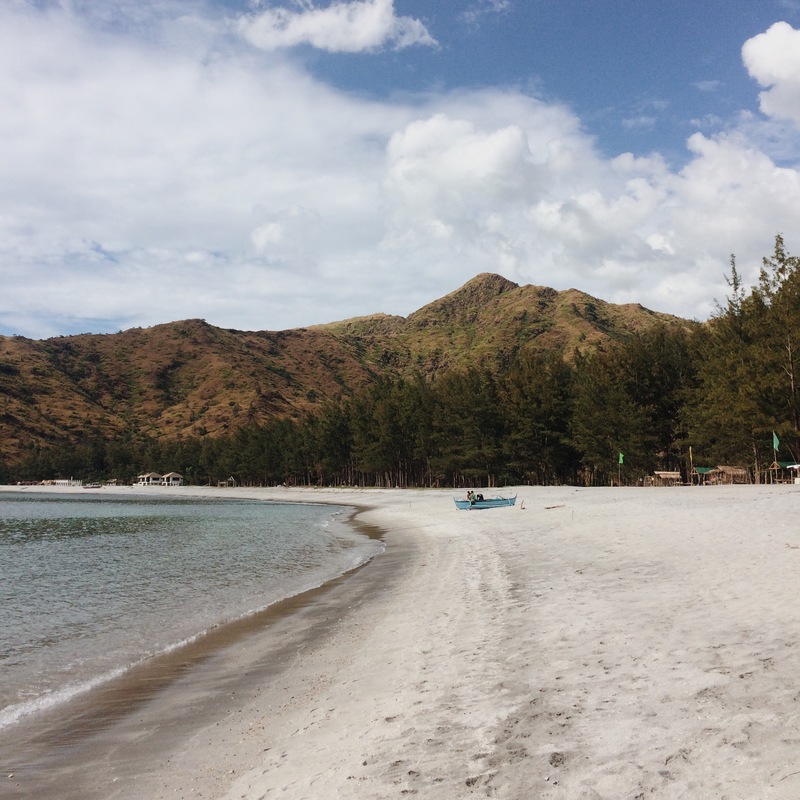 Situated a kilometer off-shore Uacon, Zambales, is this small beach bumming paradise called Potipot. With shores surrounded by white sand, and trees to provide much-needed shade, makes the island a good beach camping destination. 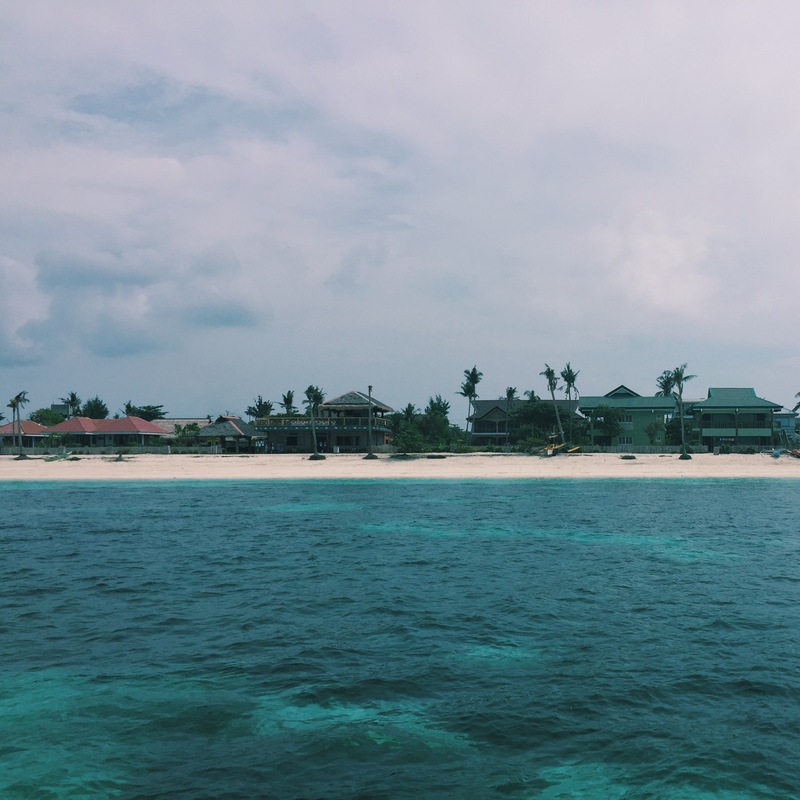 If you just want to break away from the hustle and bustle of the city and have a quick weekend relaxation with your family or friends, Potipot Island should be on your list.